IssuerSolutions designs high-end strategies to improve communication between issuers and investors for tenders, consents, exchanges, investor relations campaigns, tax and regulatory compliance projects or any other process in the financial markets. We count on an experienced multilingual team within the capital markets, legal and tax regulations and liability management activities that have acted as tender, exchange, information or consent solicitation agent on over 350 high profile corporate and sovereign debt restructurings. We started as a solution to new beneficial owner reporting requirements introduced by Spanish Royal Decree 1145/2011 that was recognized by the Financial Times as one of the most innovative legal developments of 2013. We are currently the global leader in the identification of bondholders, processing more than 1.000 investor identification events annually and working with around 500 financial institutions in more than 50 countries, including the global custodians. Global coverage with a highly specialized multilingual team. Extensive network of contacts and strategic relationships with market participants (i.e.. clearing systems, trustees, investors, law firms, regulators etc.). Our work is coordinated and leaded by a committed management team. Competitive and transparent fee structure. Product development that supports a stable business model, a key differentiator from competitors. Proactivity and adaptability in the design of strategies and ad-hoc solutions to meet our clients´ needs. Ana graduated in Economics from the University of Valencia in 1997 and subsequently spent three years training to become a member of the Spanish Tax Agency of the Ministry of Finance. 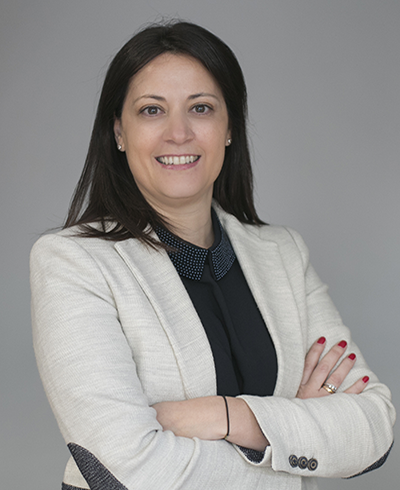 Ana worked for more than 5 years as tax advisor for Garrigues, which is the continental Europe's largest tax and legal advisory firm, advising some of the Spain´s largest financial groups and corporations. In 2006, she joined the Bancaja Banking Group, where she become tax director responsible for the group´s funding and capital markets tax advisory, tax administration and its consolidated tax accounts reporting of an organization with more than 10,000 employees and 30 consolidated subsidiaries and offices throughout Spain, the rest of Europe and the United States. She was also actively involved in the merger and restructuring process of Bancaja which eventually lead to the creation of Bankia. Ana is an expert on domestic and international tax, regulation and how these affect cross-border operations. She speaks Spanish, English and Italian. Melina graduated in Law from the University of Buenos Aires in 2001. From the beginning of her professional career, she has been working closely with several clearing houses, including acting as head for the international area of Argentina’s Central Clearing and Depositary System. She has over 14 years’ experience in liability management operations having acted as tender, exchange, information and consent solicitation agent on a number of corporate and sovereign debt restructurings. She took a very active role during Argentina´s debt restructuring in 2004-2005. In 2008, she joined Thomson Reuters, founding and heading the Fixed Income Department within TR´s Corporate Advisory Services Area. 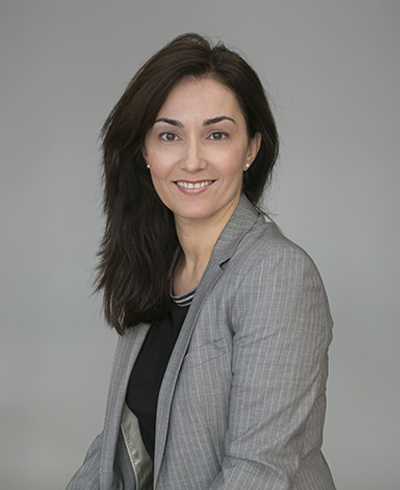 Melina is an expert in the mechanics and operations of international and domestic securities depositaries and the design of investor relations communication strategies. She speaks Spanish, English and Portuguese.